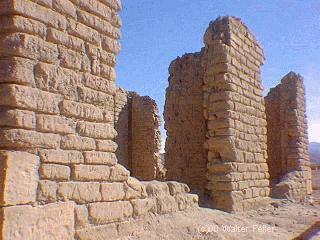 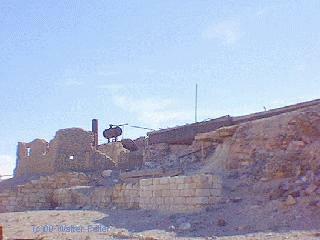 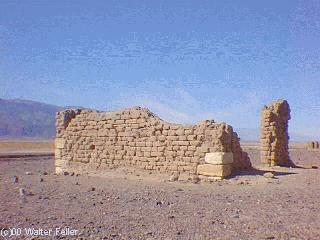 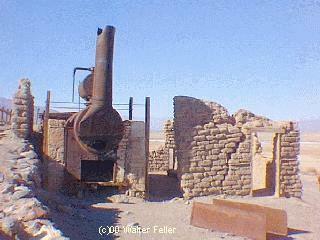 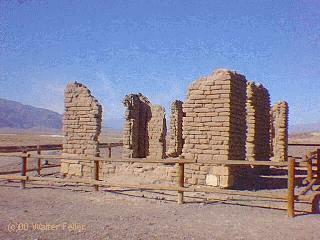 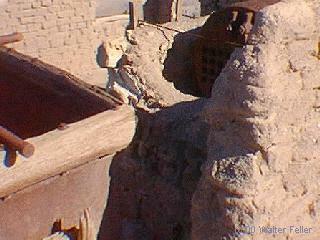 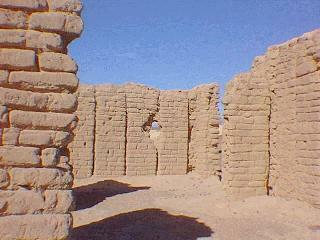 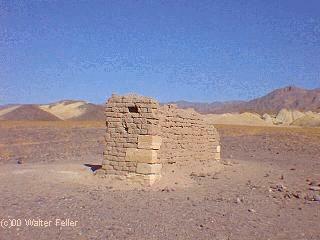 In the Furnace Creek area, borates were deposited in the remains of old lakebeds. 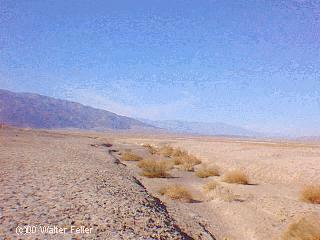 Later, partial alteration and solution of these veins by groundwater moved some of the borates to the Death Valley floor where evaporation has left a mixed crust of salt, borates, and alkalies. 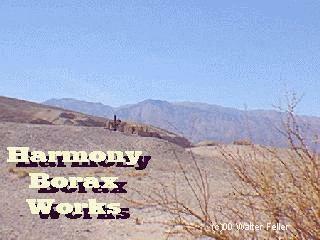 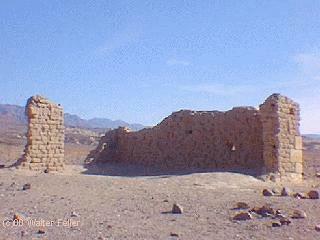 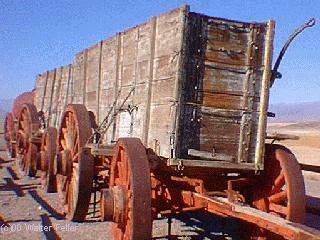 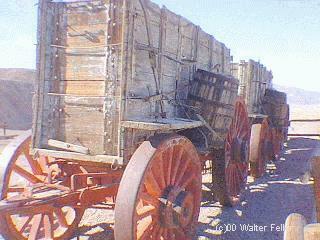 Aaron Winters found borax on the Death Valley saltpan in 1881. 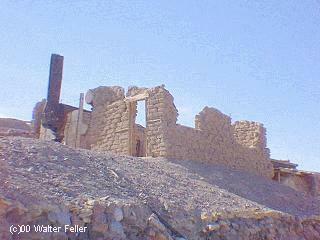 He soon sold his claims to William T. Coleman, builder of the Harmony Borax Works, where borate-bearing muds were refined until 1889.